Beware of over-the-counter acne products that contain harsh ingredients and extraneous chemicals. Acne medications are prescribed in cases of severe acne and those have their hazards as well. Natural acne remedies may take longer than something you can buy in a bottle but they don’t carry the associated dangers with them. Adolescents are not the only demographic who have acne—hormonal acne in adulthood is fairly common, too. Knowing possible causes can lead to its elimination regardless of your age. See the following for some natural acne solutions. Many people are sensitive to the proteins in dairy. They can cause inflammation in the body which, in turn, can stimulate severe acne. Additionally, non-organic milk can contain hormones that directly interfere with ours- causing a hormone imbalance (12). Also, a correlation between acne and the consumption of low-fat and skim milk, in particular, has been found. The American Academy of Dermatologists now recognizes that carbohydrates high on the glycemic (sugar) index contribute to acne. (15) Sugary foods like candy and soda plus items like white bread, refined grains, potato chips, and white potatoes can all raise blood sugar levels quickly. 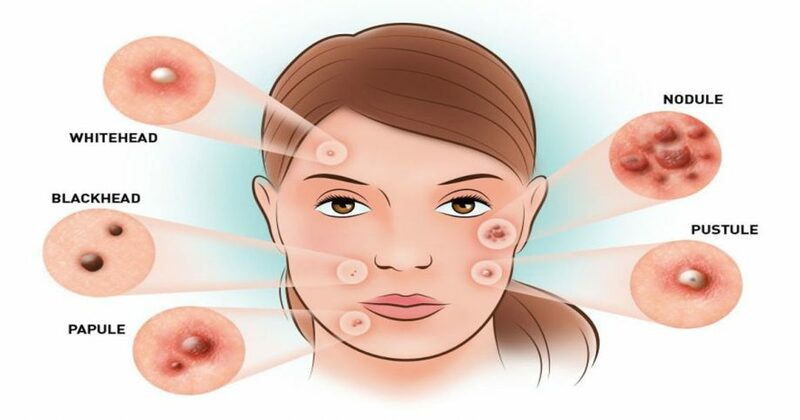 When the body produces various hormones to regulate blood sugar, inflammation occurs, and acne appears.